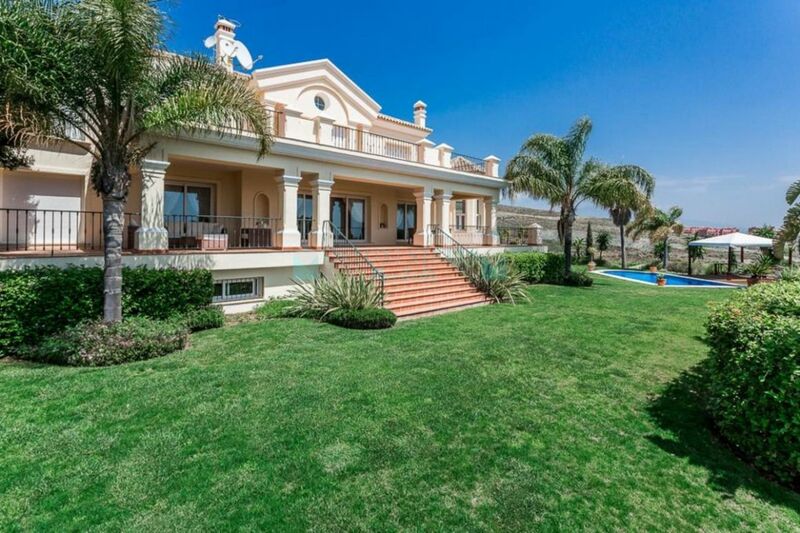 Luxury frontline golf villa for sale at La Alqueria, Benahavis, Costa del Sol. Newly built, designed using the latest tecniques to have an ecological and low maintenance building. 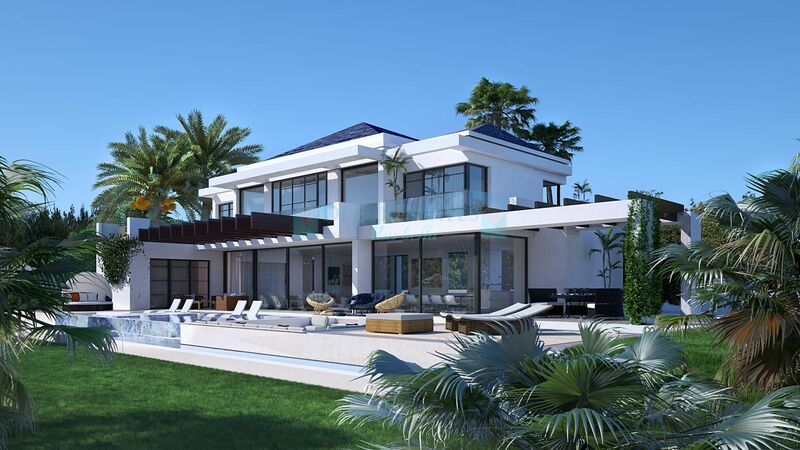 Its stunning architecture mixes the Mediterranean style with the newest contemporary tendencies. Set on 2 levels, built using only the finest materiales throughout. 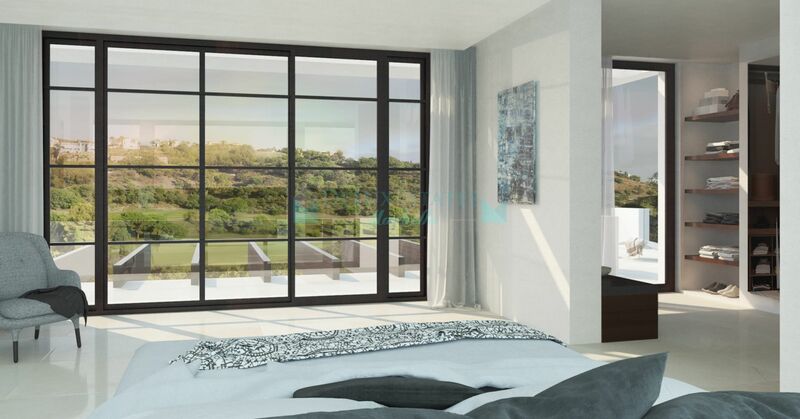 On the main floor: entrance hall, large living/dining area with direct access to the porche and private pool and garden, fully fitted kitchen with modern appliances, 2 bedrooms with 2 bathrooms en suite, guest toilet and laundry/storage room. On the upper floor: master bedroom with bathroom en suite and dressing room, and 2 bedrooms with 2 bathrooms en suite. The 3 bedrooms on the upper floor has terraces. Extras can be added, like elevator, underfloor heating in bathrooms and domotic system. Off plan. 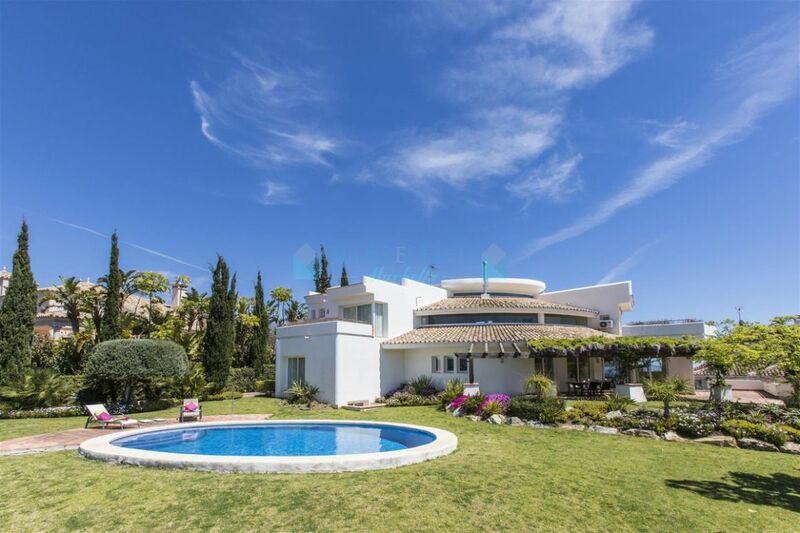 Please, send me more information about ref 300-00812P, Villa in La Alqueria, Benahavis or similar properties.